July | 2013 | 50 Westerns From The 50s. 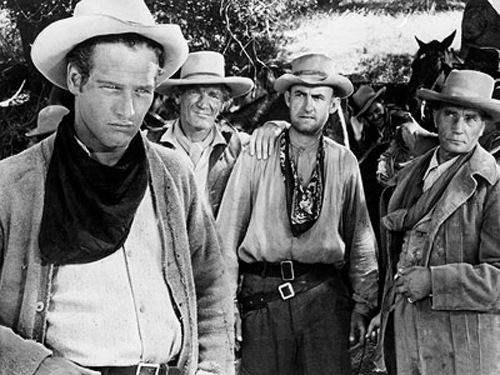 Classic Flix: The Tenderfoot’s Guide To 50s Westerns. I’ve contributed a piece to the new and improved Classic Flix site. It’s a brief guide to 50s Westerns, a list of titles (focusing on those available on DVD) that would hopefully, sorta give someone an idea of what 50s Westerns are all about. Not sure if I succeeded, but if nothing else, it’s a good place to start an argument over the choices I made. 50s Westerns Finds Its Way To Forgotten Filmcast. I’m excited to announce that a 50s Western will be featured in an upcoming edition of Forgotten Filmcast, Todd Liebenow’s podcast dedicated to films that deserve more attention than they get. You’ll have to wait to find out what picture we’ll be remembering. A couple hints: 1) It’s from the 50s, 2) Dabbs Greer is in it. I’ll post a link when it’s up and ready to go. The most recent episode was devoted to a film my best friend and I saw at a kiddie matinee when I was 12, Ishiro Honda’s The War Of The Gargantuas (1966), a Toho monster flick starring Russ Tamblyn. Character Actor Of The Day: John Dierkes. Do you remember our Character Actor Of The Day, John Dierkes, as Dr. Chapman in The Thing (1950)? He’s one of the scientists who realizes that despite all that science can learn from the Thing, it needs to die. 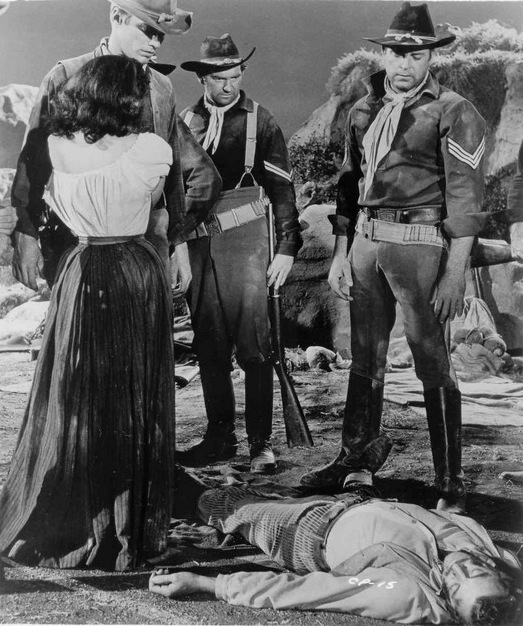 Or maybe you know him as The Tall Soldier in The Red Badge Of Courage (1951, above, with Audie Murphy) or from Shane (1953) or The Alamo (1960) or One-Eyed Jacks (1961). Or even as one of the mutants in The Omega Man (1973). Dierkes’ path to the movies was a strange one. An economist, he joined the Red Cross during World War II and met John Huston in England. The director urged him to give the movies a shot, but after the war Dierkes went to work for the U.S. Treasury. They sent him to Hollywood as an advisor on To The Ends Of The Earth (1948). Two years later, Huston brought him back to California for The Red Badge Of Courage (1951). He took a leave of absence from the Treasury Department, but never went back. He brought a lot to so many pictures. His scene in The Left-Handed Gun (1958, he’s right behind Paul Newman), as he reads Corinthians 13 to Billy The Kid, never fails to give me goosebumps. It’s a moment of grace in a film that’s all over the place. With Roy and Dale around, you’re always safe. 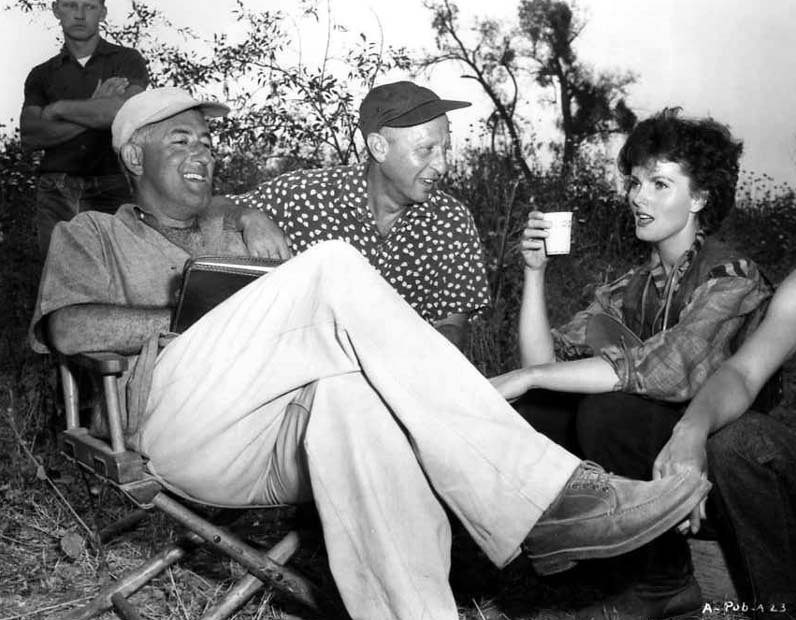 Of the hundreds of photos that have appeared on this blog, this may be my favorite (there’s a color one from The Horse Soldiers, with John Wayne standing beneath trees filled with Spanish moss, that comes close). 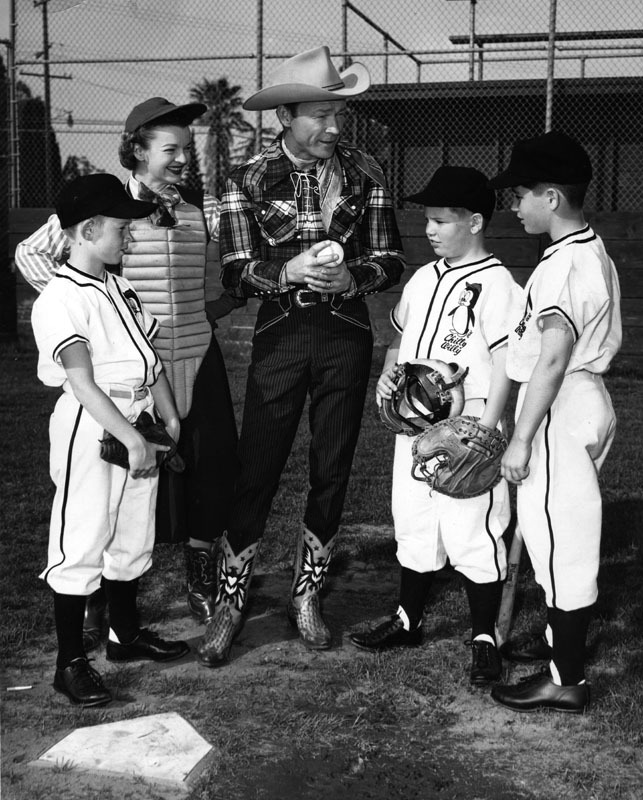 Here you have Roy Rogers and Dale Evans visiting with some little league players with Chilly Willy on their uniforms. With baseball going into the All-Star break, this seemed like a good time to share it. Everybody’s talking about The Lone Ranger (2013). They don’t like it. They like it. What’s that stuff on Johnny Depp’s head? 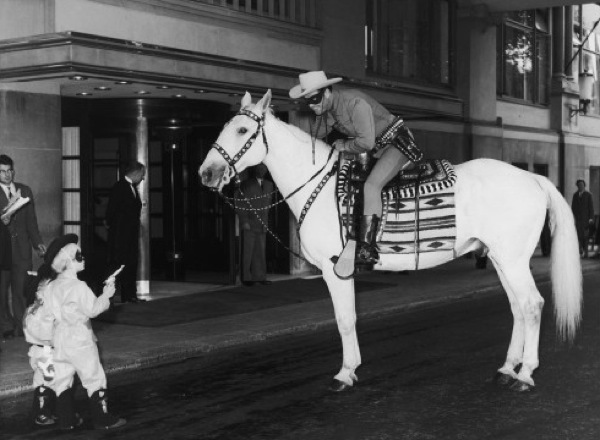 A good friend of this blog, Bob Madison — we tend to email back and forth about our love of The Lone Ranger — called the new film a “glorious mess” and admitted he liked it. See his blog for more. 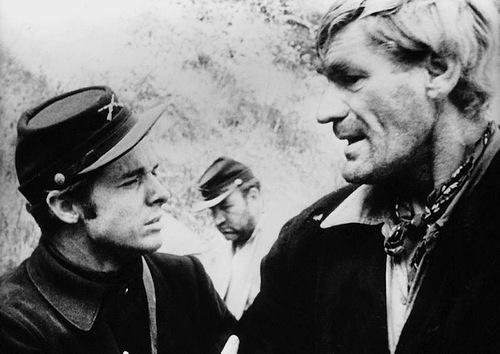 We all have a “glorious mess” or two on our list of favorites — One-Eyed Jacks (1961) is one of mine — part of what makes being a movie nut so much fun.